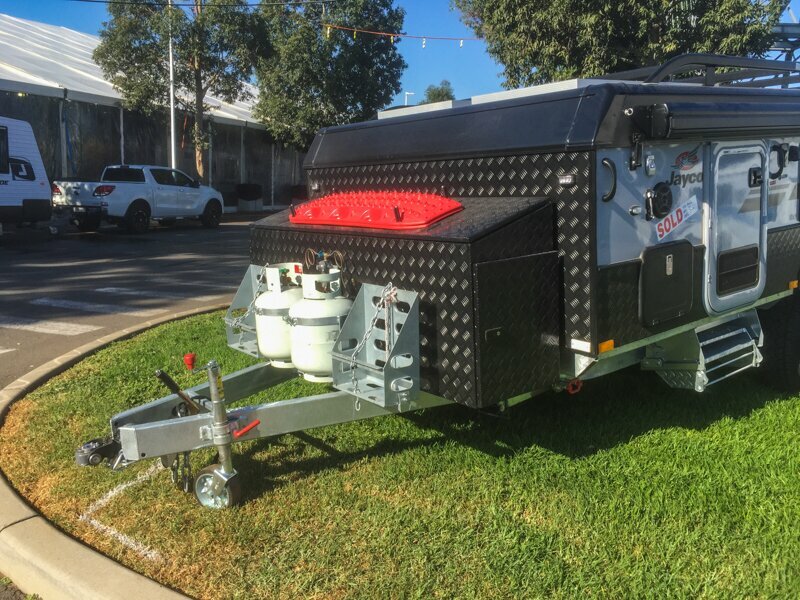 Jayco, Australia’s largest builder of caravans, camper trailers and motorhomes, looks like it will have a wild new off road camper trailer on display at the upcoming Sydney Caravan Camping Holiday Supershow. The camper was spotted by us as we set up our own vintage caravan display. The people at Jayco we’ve spoken to haven’t been able to give us any details but we can confirm a few things. 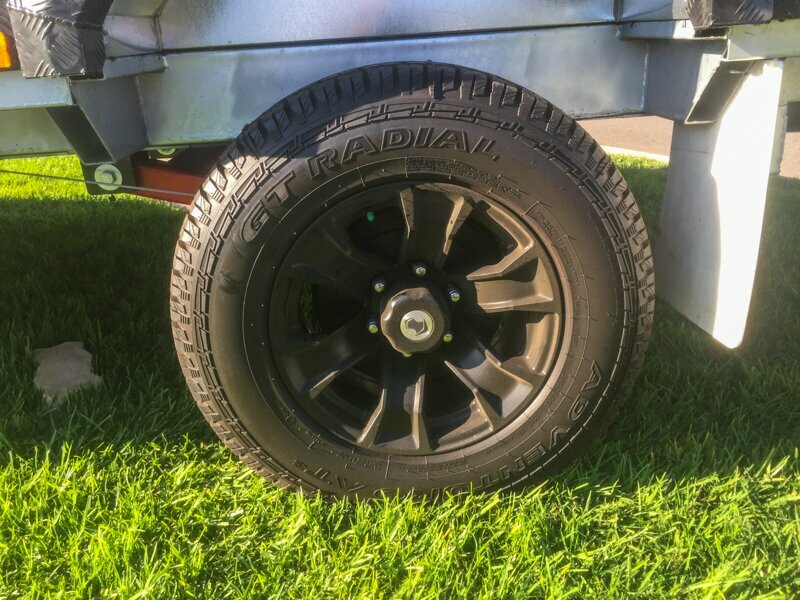 The camper is fitted with independent coil spring suspension and rides on 245/70 R16 GT Radial Adventuro all terrain tyres with black alloy rims. No spare was fitted, but there’s capacity for one on the rear bumper bar. Other external features include a shower, twin jerry can holders, twin 9kg gas bottles and a large tool box on the a-frame. Two Maxtrax are also fitted. The boot at the rear hides a stainless steel slide-out kitchen and is next to a fold-down picnic table. 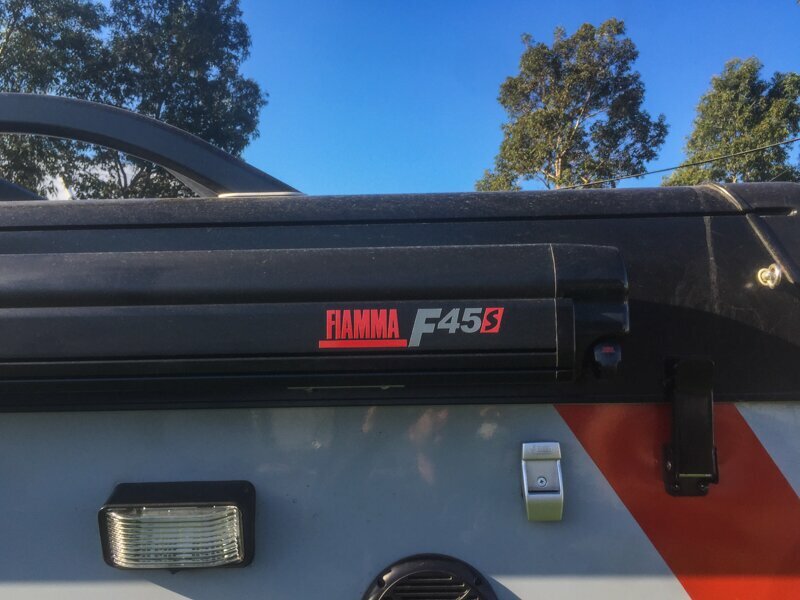 A Fiamma F45 awning graces the roof to provide shelter. 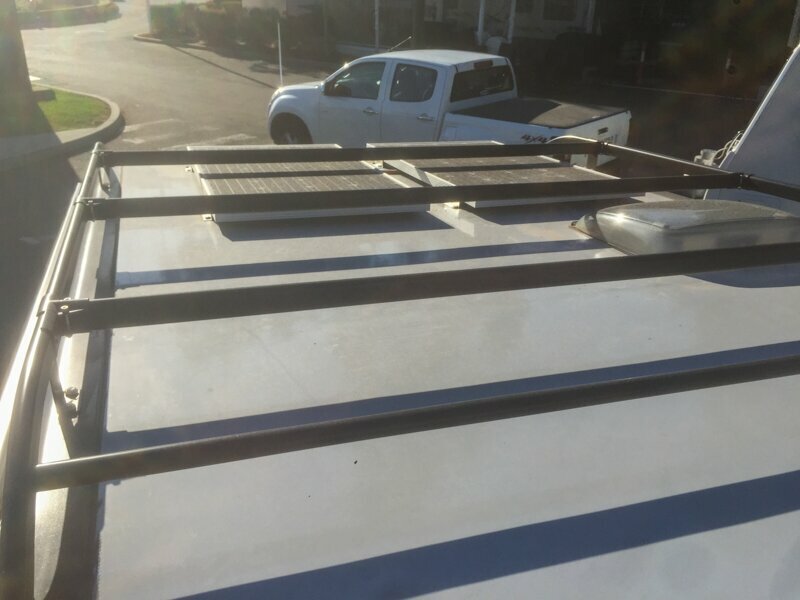 The roof itself is incorporates a roof-rack system and has two solar panels, although the racks go across the panels leaving a line of shade at all times of the day. 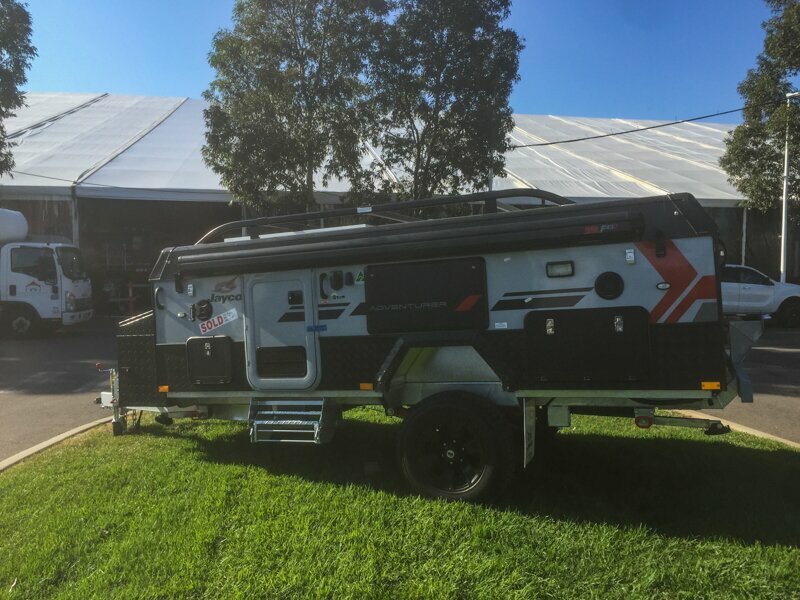 Jayco has been in the habit of showing off prototype caravans at major shows that last few years, so we expect this is what this is, and that the solar and roof-rack issue will be solved when or if this actually goes on sale. 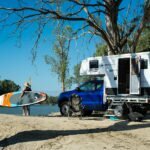 Two years ago in Melbourne it showed off the Adventurer off-road caravan which went on sale eventually, and last year it showed of the Jayco Xplo, which has fortunately not seen the light of day since. If this ends up going on sale, it’ll be the first time Jayco has ever had a dedicated off-road camper trailer product on its books. 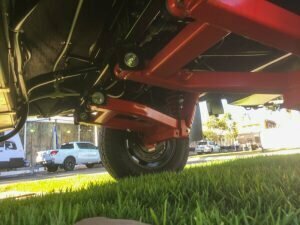 It first released the Outback pack on its camper trailers in 1988, but the company has always maintained that’s just for gravel roads and outback highways. We’ve been unable to see the inside yet, but can see that it’s fitted with two water tanks, a hot-water unit and a 12/240-volt compress0r fridge. When we can find out more, we’ll follow up. 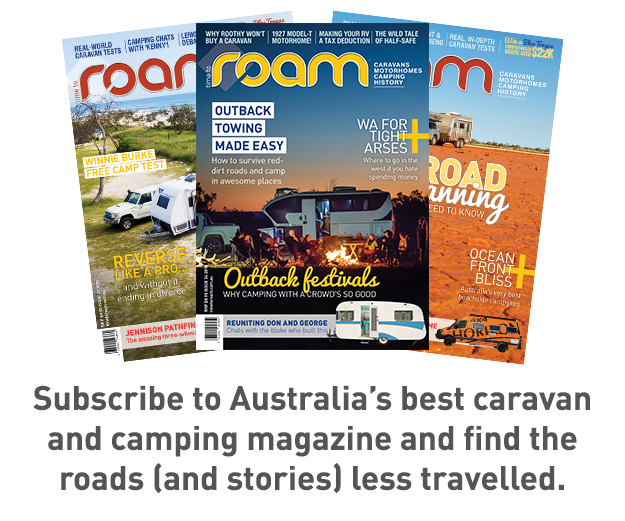 The Sydney Caravan Camping Holiday Supershow is on at Rosehill Racecourse between April 24 and 29. Get tickets here. Read more about Jayco Caravans here. Read more about light weight camper trailers here.